The requirements for the import of meat to Canada are included in: the Meat Inspection Act (MIA) and in the Meat Inspection Regulations (MIR). The export of meat and its products to Canada is only possible from countries whose food safety supervision system has been recognized as equivalent to the Canadian system and only from plants approved by the competent veterinary services and listed on the specific list. Determination of the equivalence of meat control systems in exporting countries, approval of production facilities, product registration and product certificates issued by the relevant authorities of these countries for export to Canada. A plant which would like to export meat and its products to the Canadian market submits an appropriate declaration to the competent authorities of the veterinary authorities (Foreign Competent Authority - FCA). The application is then forwarded to the CFIA, which usually deals with it within 2 working days. However, the beginning of export is possible only after the official placing of the entity on the list of plants authorized to export to the Canadian market, operated by the CFIA (link to the page: http://inspection.gc.ca/active/netapp/meatforeign-viandeetranger/forliste.aspx ). In addition, the CFIA provides relevant feedback to the FCA. Before a plant can export to Canada, it is necessary to register the label and recipe of a given product, including its ingredients, proportions and method of manufacture. Product labels and recipes are subject to the registration of the appropriate CFIA office (the CFIA Label and Recipe Registration Unit). Registered labels and "recipes" are valid for 10 years. The labelling and packaging requirements are set out in Chapter 7 of the Hygiene of Meat Procedures Manual. Each shipment exported to Canada must be accompanied by an official Meat Inspection Certificate (OMIC). The document is issued to the competent authorities of the exporting country, and its design is available in the EU TRACES system (Trade Control and Expert System). 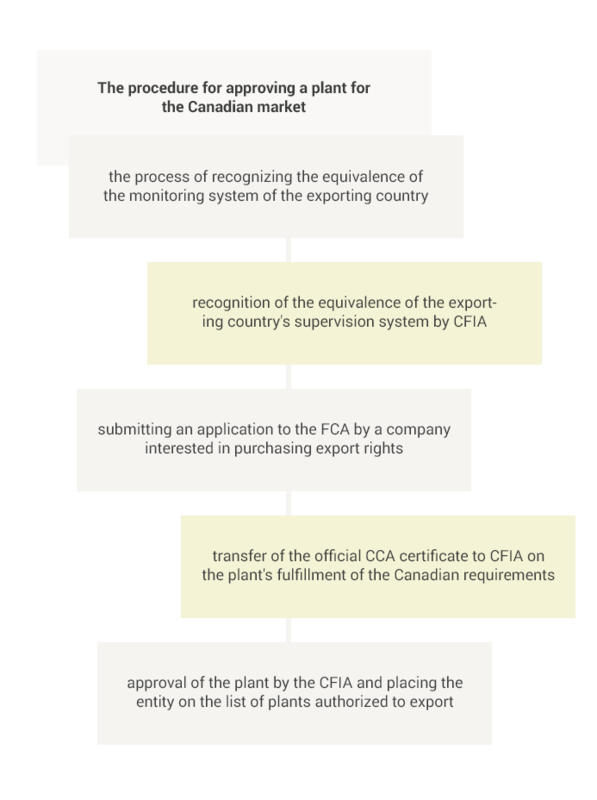 The next points of the CFIA Import Control System, i.e. the entry control point, shipment tracking and telemetry data and the import control program are included in the chapter for Importers. - cattle: foot and mouth disease (FMD), bovine spongiform encephalopathy (BSE). Canada, as a member of the World Organization for Animal Health (OIE) respects the principles of regionalization in the case of specific infectious animal diseases, including FMD, SVD, ASF and CSF . 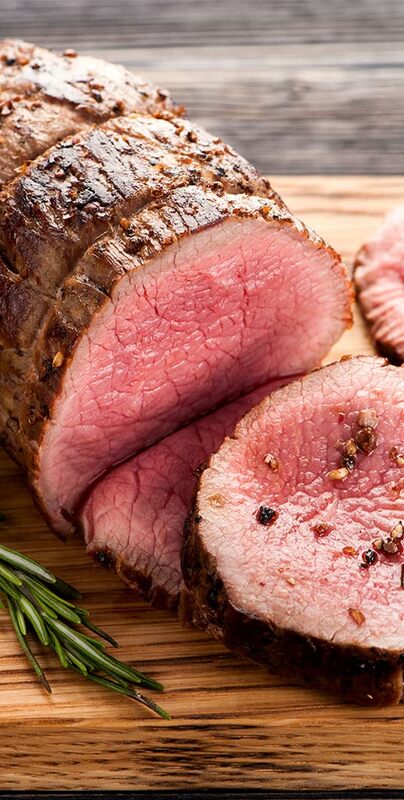 In the case of beef intended for the preparation of raw minced meat, a health certificate must also be accompanied by the test certificate for E.coli O157H7 with negative results in an accredited laboratory in accordance with the procedures indicated by the CFIA. In connection with the signing of a comprehensive economic and trade agreement, i.e. CETA, between the EU and Canada, customs duties on both pork and beef meat have been abolished.